it speaks of the end and does not lie. 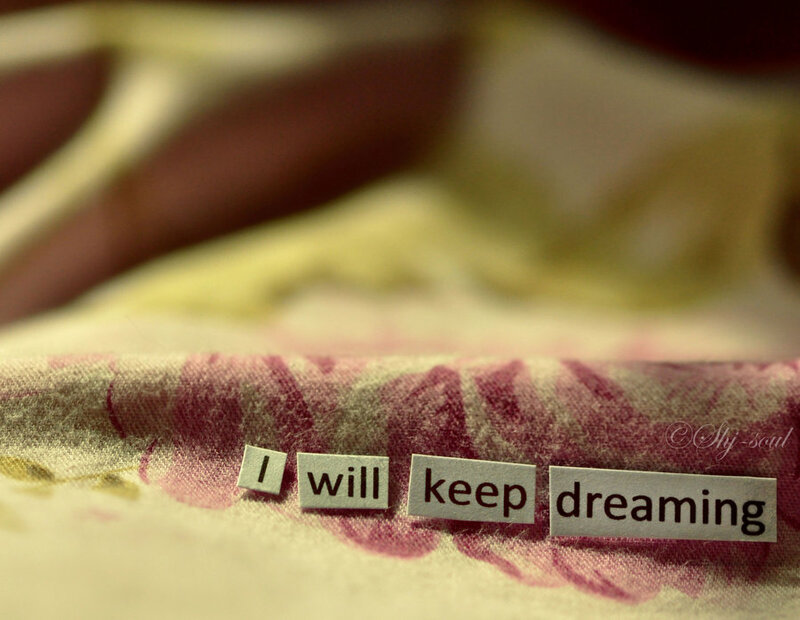 “Keep dreaming” or “keep on dreaming.” It is usually said dismissively, the words wave off the idea, heads shaking. They feel sorry for us. “You poor thing. You don’t know any better,” they say. Persons say it to us so as to suggest that it will never happen, that our heads are in the clouds. These words are used to lower our expectations. It’s supposed to be a reality check that reminds us that our hope is unrealistic, a mere fantasy. We need to be brought down, back to earth. Still, there are others who have warned us to “never let go of our dreams,” which suggests that dreams can be taken, snatched. It also lets us know that dreams are a personal possession, that if given, then they belong to us. So, if all we have is our dreams, then we have more than enough. We don’t need any one’s approval or acceptance. Besides, the dreams come to us. They choose us. So, who are we to reject them, return to Sender? The Reverend Dr. Martin Luther King, Jr. reminds us to just keep on dreaming.